›Quantum Storage WR74-1430S 4-Shelf, Stainless Steel Wire Shelving Unit - 14 x 30 x 74 in. 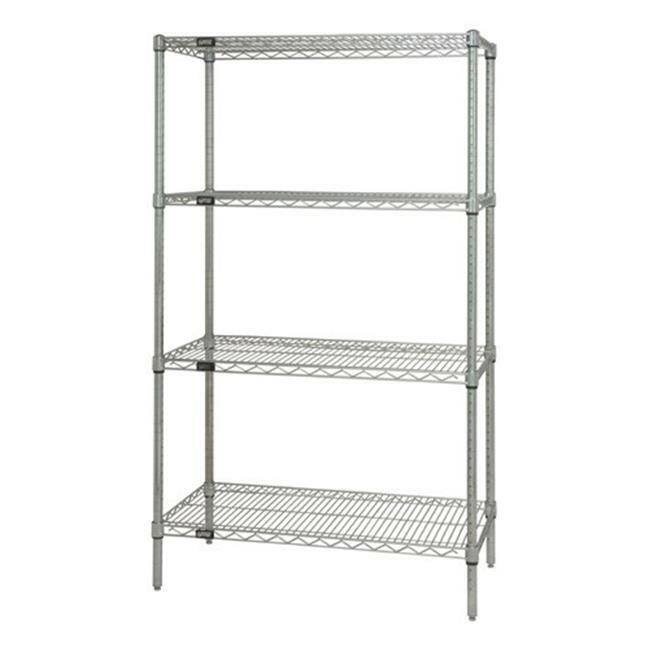 Quantum Storage WR74-1430S 4-Shelf, Stainless Steel Wire Shelving Unit - 14 x 30 x 74 in. Quantum Stainless steel wire shelving is the ultimate storage unit in areas where there is a rust or corrosion concern. Made from 304 grade stainless with an electro polish finish these units are ideal for laboratories, Health Care, and Food Service applications.